Oz and Ends: Look Upward Robin! 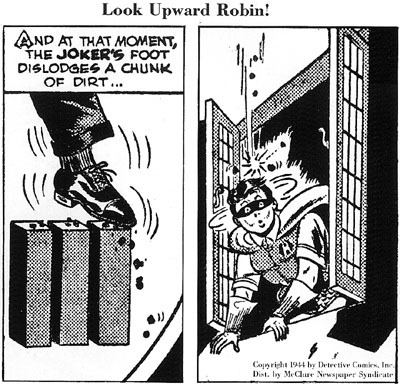 From the daily Batman and Robin strip of the 1940s, back when a superhero comic being gritty meant it contained actual grit. 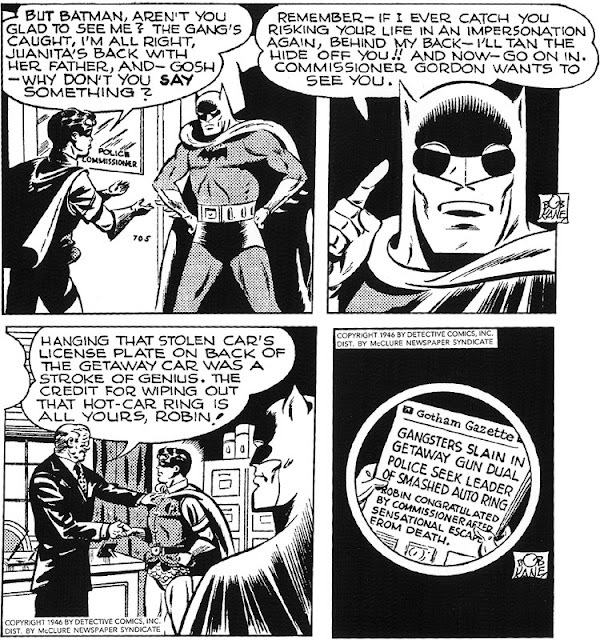 But to show that some things don’t change over more than sixty years, note the pride beneath Batman’s disapproving scowl* in panel three. * phrase borrowed from Nightwing, #138, published in 2007. Two Issues of Oziana Back to Back!